I bought a 2015 fit base model at auction. 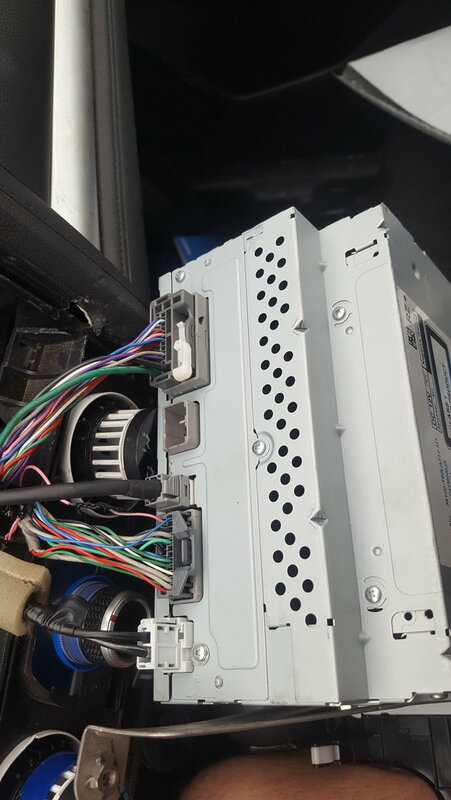 It was missing the radio (theft recovery). I bought a radio for it, and I am pretty sure its the right model. But after I plug in all the plugs, I have one empty space left. I am pretty sure I have all the plugs as there are no parts where the harness is cut. But I don't have any sounds, everything on the radio/CD player works, just no sound at all. All the fuses look good. Does anyone have any ideas. Here is a pic of the back of the radio. Please take a closer picture/look at the vehicle wire harness. See if there are any cut. The missing plug is not necessarily needed. Not all of them have something hooked up to it afaik. Double check the speakers in the doors if they are hooked up. Also you may need to get an unlock code for the radio if u got an oem replacement. Thanks for the quick reply. I did get the unlock code from the dealer so we are good to go there. I found the issue. Plug was not needed. One of the speakers was not plugged in all the way. Thanks xxryu!